Take your love for bananas to a new level in the Minions jumpsuit. Faithfully aid Felonius Gru as he takes on El Macho and Scarlett Overkill. Zip yourself into the roomie minion jumpsuit and you may never take it off. You’ll look the part as you cover yourself in the yellow fabric that mirrors the tiny character’s skin. Putting the hood over your head will reveal a goggled face making it possible to blend in at any minion gathering. 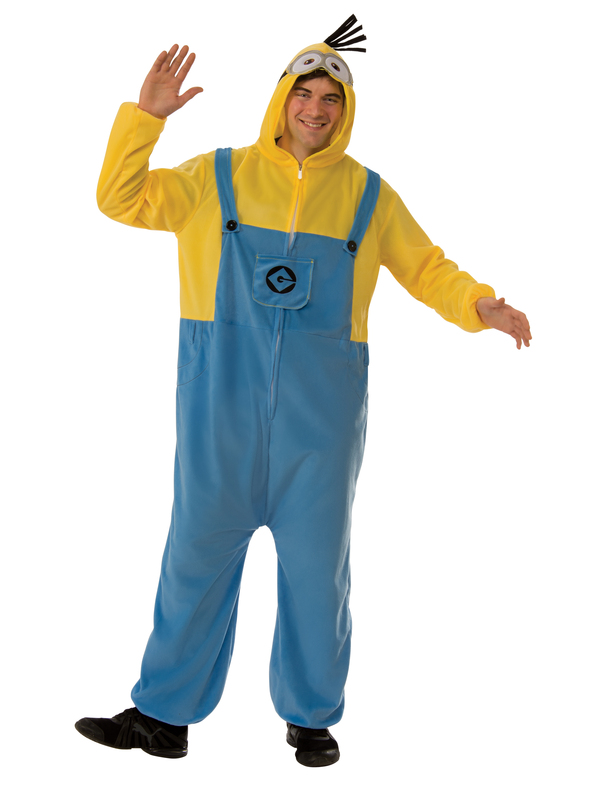 The lower portion of the jumpsuit is typical minion fare: blue overalls. Others may tease you but remind them that minions helped Felonius Gru become the world’s greatest villain. Take advantage of our fast-shipping and get your Minion jumpsuit today!